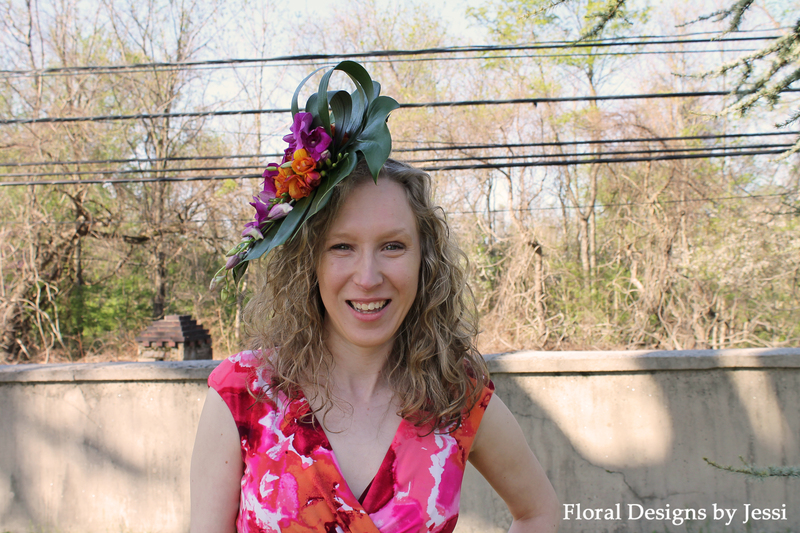 This entry was posted in Real Weddings & Events and tagged Delaware, floral hairpiece, floral hat, freesia, green, greenery, horse races, orange, orchids, pink, tropical, Winterthur Point-to-Point by jwilson600. Bookmark the permalink. Hi Jessi. 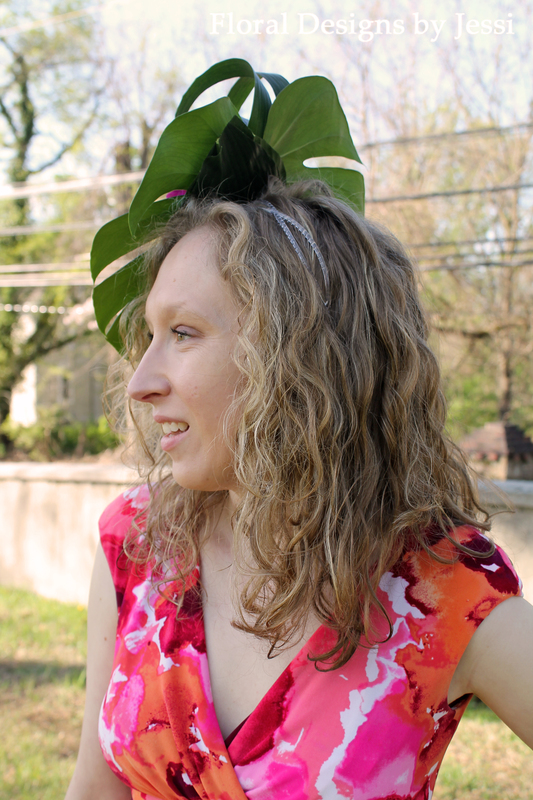 Your floral fascinator was a Huge hit at the Winterthur Point-to-Point Steeplechase today! 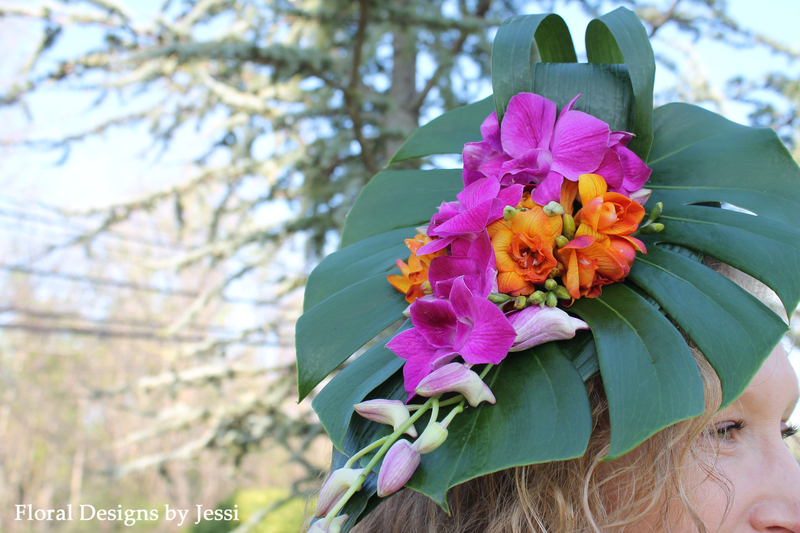 The orchids did well in the heat and looked as good in the later afternoon as they did in the morning! 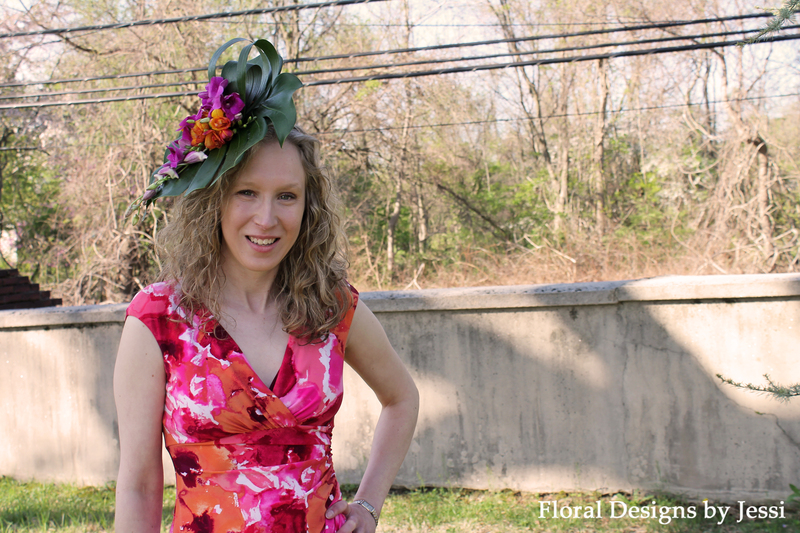 Your floral creations are a Must have for the social season!! !